20500!!! Can it go beyond !! After a brief break during christmas and idd back with some time to update stuff but majority of the recent moves have been given as calls to clients and some messages on sms on our Free sms service ... Will soon make a consolidated view of the messages sent!!! GEI inds one of our earlier long term picks frm 70 levels and again advised at sub 120 levels on diwali is all set for fresh moves and is a good investment pick for medium term at 135-140 levels. For more diwali picks check the detailed report sent on NOV 5 to clients. 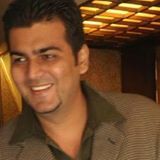 http://analyseindia.blogspot.com for SUBSCRIPTION DETAILS for exclusive recommendations through email ,sms and yahoo..